4,005 views Published on April 7, 2009 in Announce. 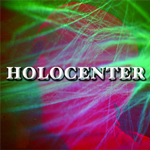 1 Comment Tags: Holography, IHF. The International Holography Fund (IHF), the only organisation set up to specifically fund creative holography world–wide, has closed, due to the immediate loss of its own funding. 8 views Published on March 28, 2009 in Announce. 0 Comments Tags: Hologram, Light, Magic, Rudie Berkhout. A retrospective exhibition of Rudie Berkhout’s holograms and laser works to celebrate his life in art. 2,613 views Published on March 12, 2009 in Announce. 0 Comments Tags: AIR, Holographer, Laser, Pulse, Ruby. 2,502 views Published on January 22, 2008 in Announce. 0 Comments Tags: AIR, Holocenter, Martina Mrongovius. 11 views Published on May 18, 2007 in Announce. 0 Comments Tags: AIR, Awardees, Holocenter. 26,835 views Published on February 3, 2007 in Announce. 0 Comments Tags: AIR, Holocenter.